Q. How do I create a playlist using VAST (Alexander Street Press video)? You need to have an account with VAST/Alexander Street Press first. Note, this not the same as your WWU account and is not connected to it. 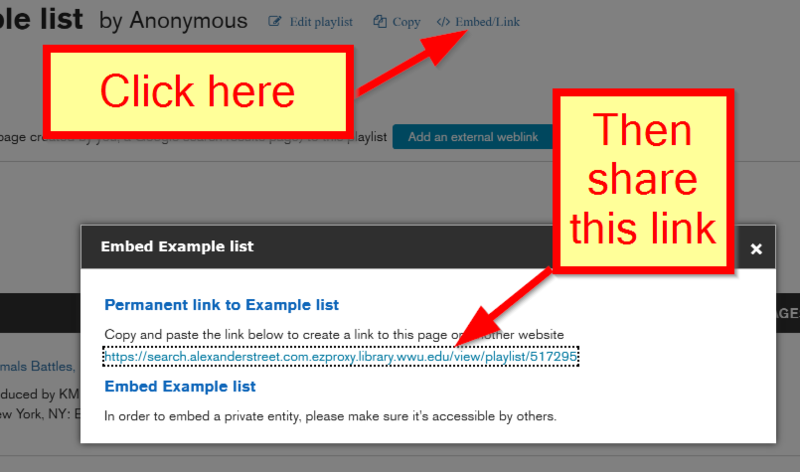 Find the "sign in" link in the upper right corner to log in or create an account. 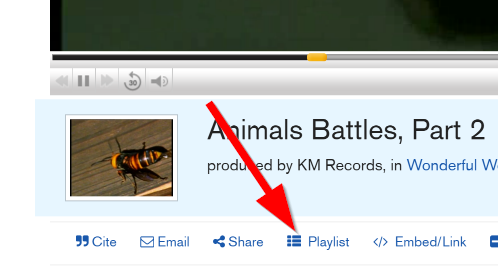 When you find a video you would like to add to a playlist view the video by clicking on the title, if you are not doing that already, then click on the "Playlist" button. 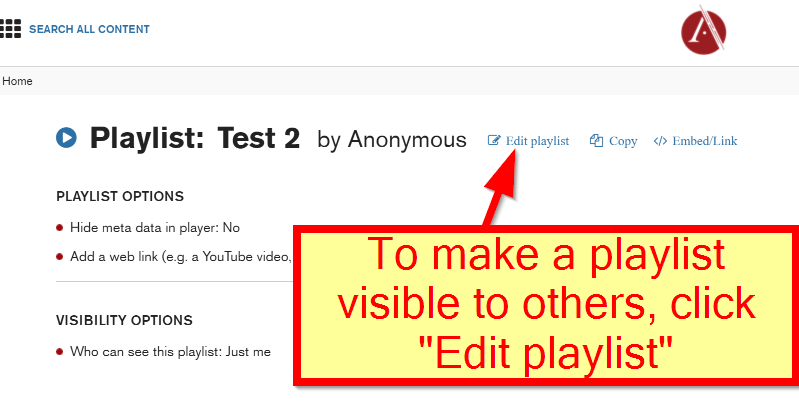 That will bring up the option to add the video to an existing playlist or you can create a new one. 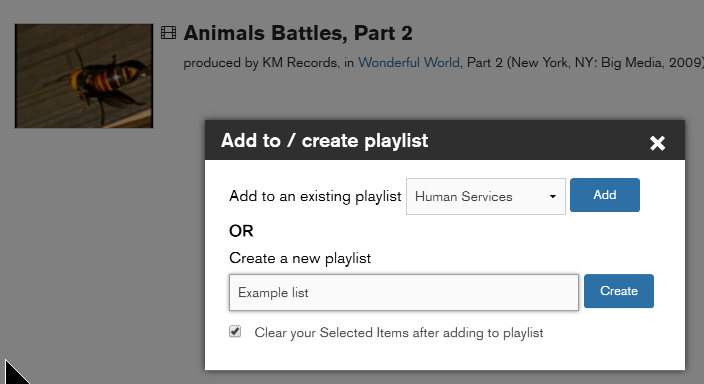 Click "Edit playlist" link for options to make the list visible to others. 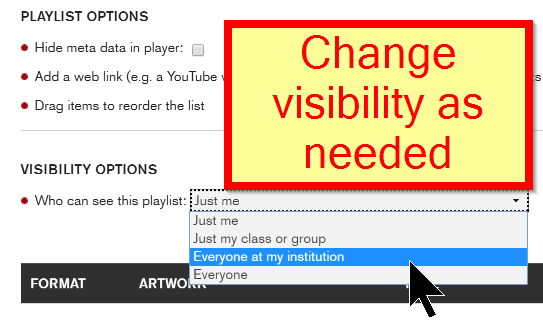 Change the playlist visibility as desired.